When you combine classical timelessness with something indisputably dope, pretty much anything flies. Like doing ballet to the rhythms of a live DJ—a DJ who goes by the name of John Vincent. 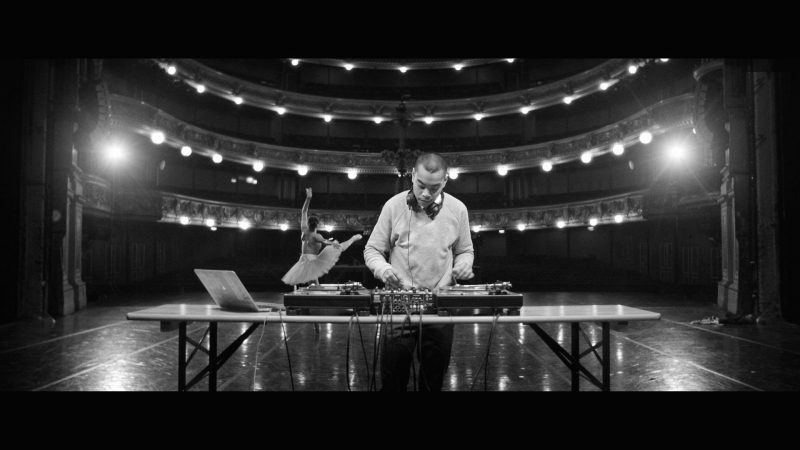 The Copenhagen native is the latest lyrical alchemist to spin his way into the Tuborg Apropos Live family; better yet, he does so with his turntables planted atop one of the most hallowed grounds of Danish entertainment—Den Gamle Scene (The Old Stage) at the Danish Royal Theatre. Vincent started out as a breakdancing, hip-hop loving youngster and has been picking up and refining his skills ever since. Today, Vincent fuses the kind of subtly groovy electronic beats you could imagine hearing in the elevator of a pimped-out skyscraper co-owned by Dre and Snoop, elevated by the explicit tightness of ghetto-roguish hip-hop like Future, Pusha T & Pharrell’s “Move That Dope” and Taku’s “Electr(on)ic Relaxation” thrown in his mix. John Vincent’s Apropos Live set is rough and street in the most classical of ways—so, feel like bustin’ a move? Sparkin’ up a spliff? Brushin’ your teeth? All of the above? John Vincent’s your man. Check him out.